The Pan-Tilt-Zoom Inspection Camera INVIZ® SNK for Remote Visual Inspection (RVI) of tanks, vessels and big pipes / tubes. 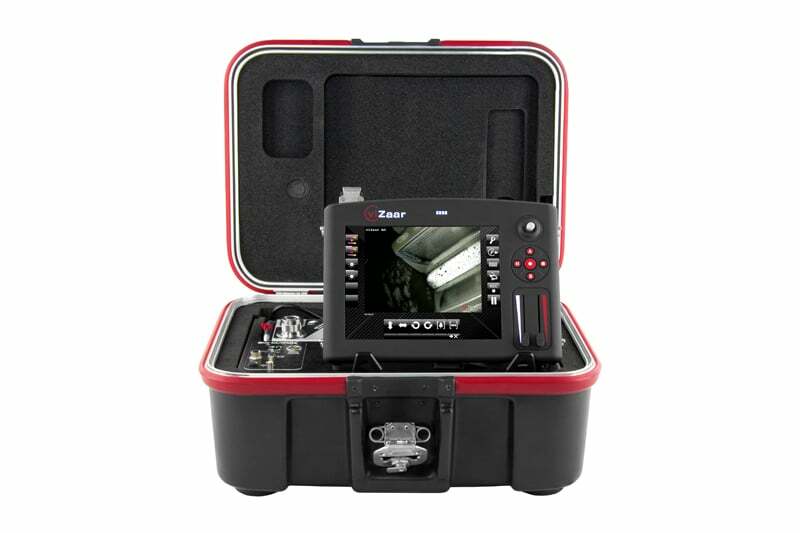 The worlds most reliable inspection system with a wide range of inspection camera accessories for your Remote Visual Inspection (RVI). The Pan-Tilt-Zoom Inspection Camera INVIZ® SNK 40x with Halogen and LED illumination as well as Aluminium and stainless steel construction. Wide Dynamic, 0.04 lux light sensivity and multiple extended range. 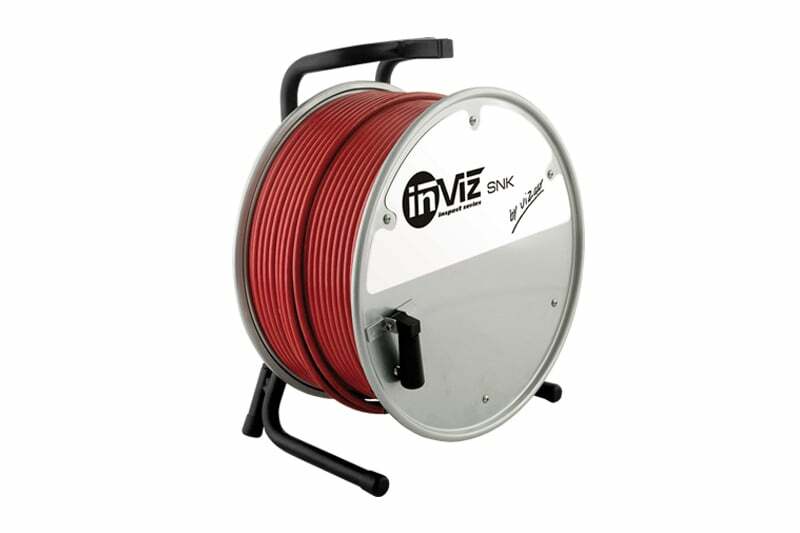 Contact us to find out more about the INVIZ SNK or any of our other PTZ camera systems, or click to view our full pipe inspection camera range. The 40x optical zoom of the Pan-Tilt-Zoom Inspection Camera INVIZ® SNK 40x provides detailed views from longer distances, thus not missing any details during your Remote Visual Inspection (RVI). Individual camera positions are saved for repetitive Remote Visual Inspections (RVI) with the Tank & Vessel Inspection Camera INVIZ® SNK 40x. Use the Run & Scan feature for systematic and precise containment wall inspections. The seperately adjustable light outputs of the Pan-Tilt-Zoom Inspection Camera INVIZ® SNK 40x ensure perfect illumination and failure detection. The pan and tilt function enables all around Remote Visual Inspections (RVI). Operate the Pan-Tilt-Zoom Inspection Camera INVIZ® SNK 40x via documentation system INVIZ® MATRIX. 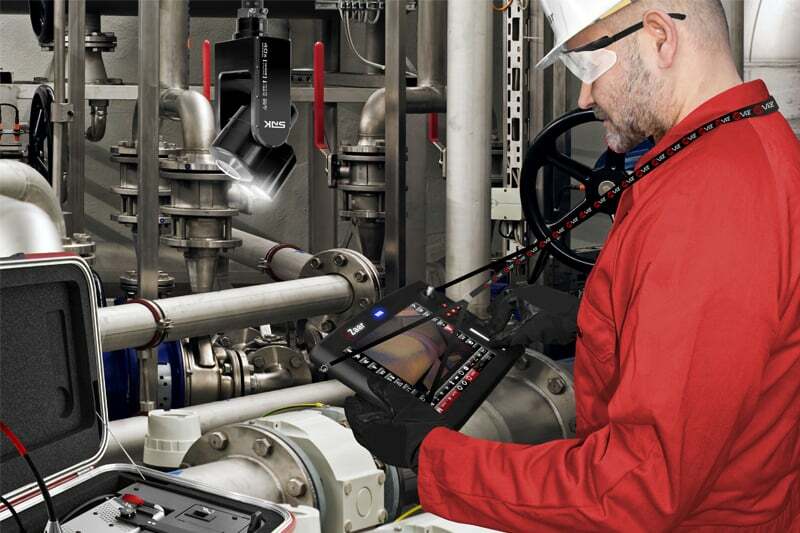 With up to 200 m working length, the Tank & Vessel Inspection Camera INVIZ® SNK 40x is operated from a remote position, ensuring a save working environment for your personnel. Save and manipulate your Remote Visual Inspection results (images and videos) onto the internal SSD. 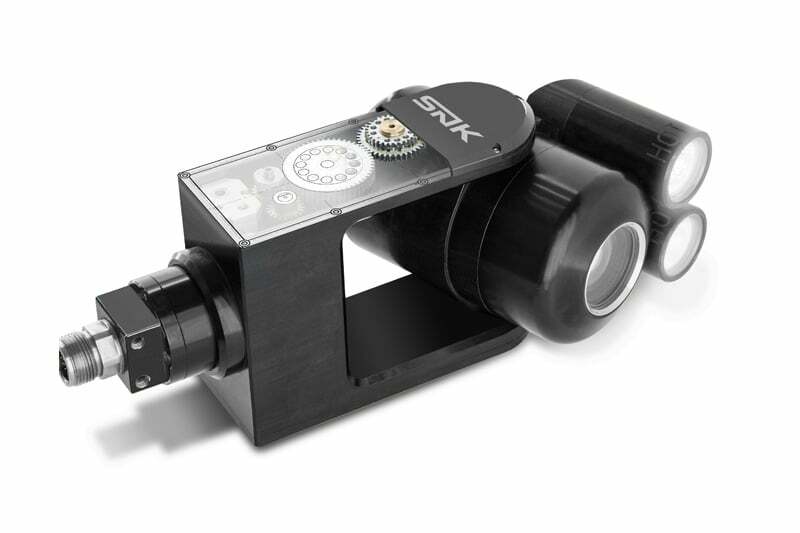 Digital image manipulation provides image presentation in upright position, even when the Pan-Tilt-Zoom Inspection Camera INVIZ® SNK 40x is operated upside down. 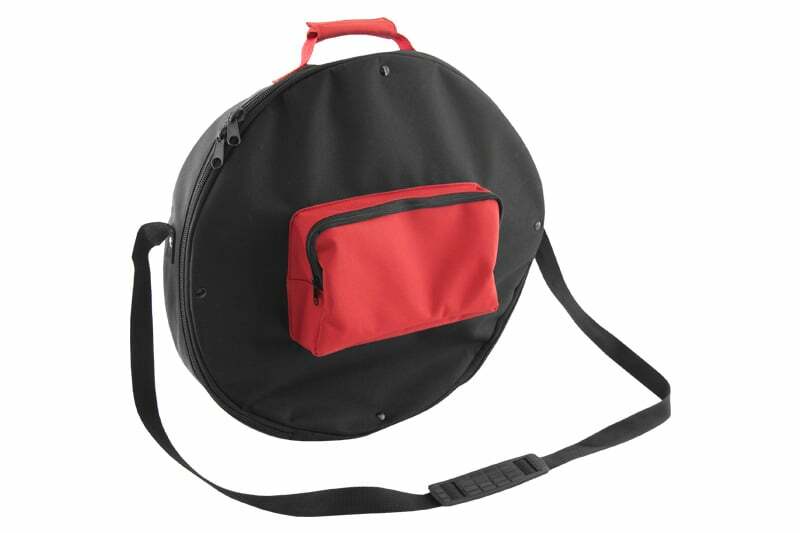 The X/Y position display guarantees detailed orientation and documentation. 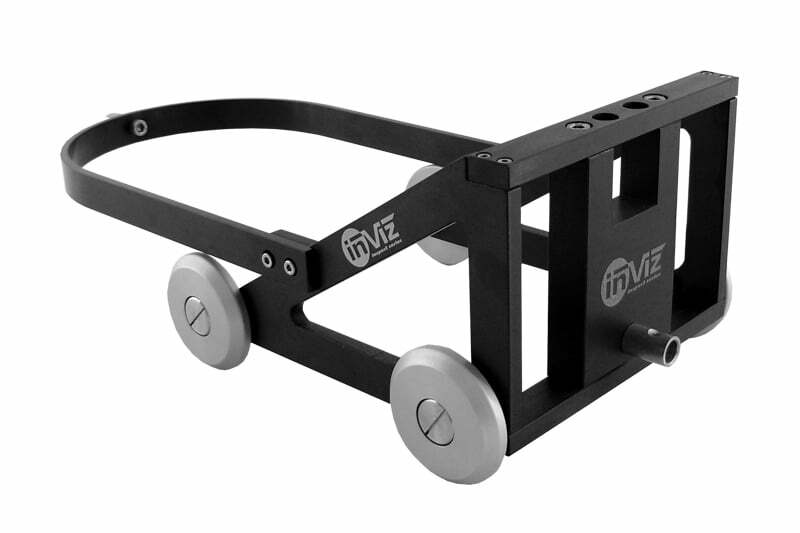 The wide range of accessories for the Pan-Tilt-Zoom Inspection Camera INVIZ® SNK 40x includes carbon fiber poles, a pushing trolley, manhole swivel tripod and camera lift, spare inspection camera heads (Aluminium and stainless steel construction, Halogen and LED illumination) and further accessory for your Remote Visual Inspection (RVI). 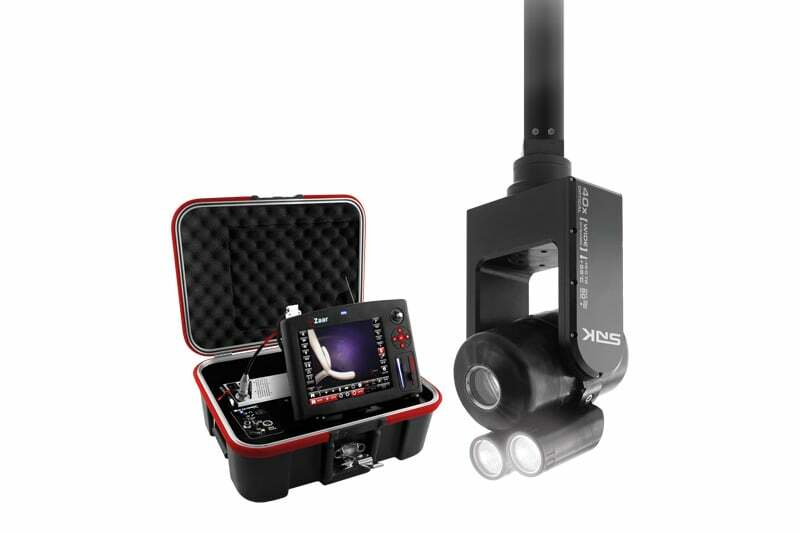 Technical data and specifications of the Pan-Tilt-Zoom Inspection Camera INVIZ® SNK 40x and inspection camera accessories. IRIS & Shutter Manual and automatic, 1/10.000 sec. to 1 sec. Speed Aluminum: 0 to 14°/sec.